In short: No glory anywhere this season (yet, anyway). Given my “I’m only really interested in cyclocross, so this is just something to tide me over” attitude the races so far have actually gone quite well. I’ve mostly just sacked off tactics in favour of just making it hard for myself. Lots of trying to go off the front / get in breaks / just sit up there doing as much work as possible to get a good workout. The same sort of thing was underway at Bickerstaffe when someone overlapped my rear wheel, slicing my tyre and leaving some nasty looking marks on the rim. Race over, but at least I stayed upright! Saturday’s race was fast. I could probably leave it at that. It’s all you need to know. 27.5mph doesn’t sound that fast for a crit, but with the slooooow corner leading onto the headwind-laden climb to the start/finish line there was no hanging about. 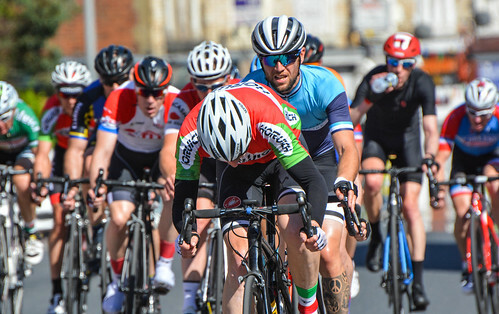 Despite being somewhat outclassed by a few pro / semi pros turning up I went to the front a few times just to show my face (and hey, you never know, you might get away) and tried to do some pulling along / bringing back breaks. The finishing place wasn’t much to write home about (25th…although I did get some ice cream money for being the first 3rd cat), in the first ‘big’ group after the break-that-did-get-away, but it was ace fun. Proper racing. With legs that didn’t feel too bad after Saturday’s bashing, Sunday’s race saw me with high hopes for a good finish. I’d felt pretty good the night before, so let’s do it all again! With the ‘handicap’ system, the older riders are set off first, with time gaps between each age group. As a ‘master’ I was set of last, with the seniors and juniors – I think, it all got a bit messy, the basic outcome being that the 5 of us that made up that group were nigh on a whole lap down when we finally got going…and with ony 25 laps in the whole race it was a huge disadvantage. Rather than muck about with tactical riding / saving myself I realised pretty quickly we’d just need to hammer it to even get on terms before the end of the race. Even then, if a few strong riders from the older age categories decided to have a proper go / work together we’d be pretty buggered. 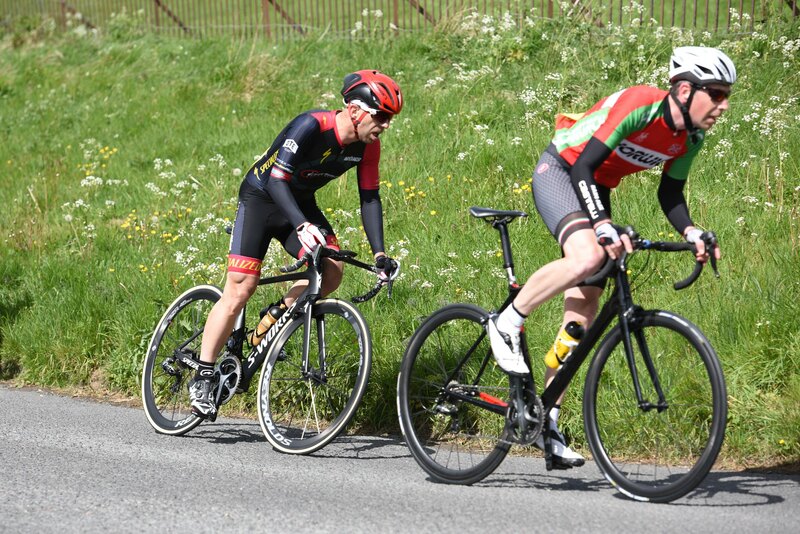 3 of us managed to slowly drag our way back through the groups up the road, only just making contact with the front group with about 3 laps left. 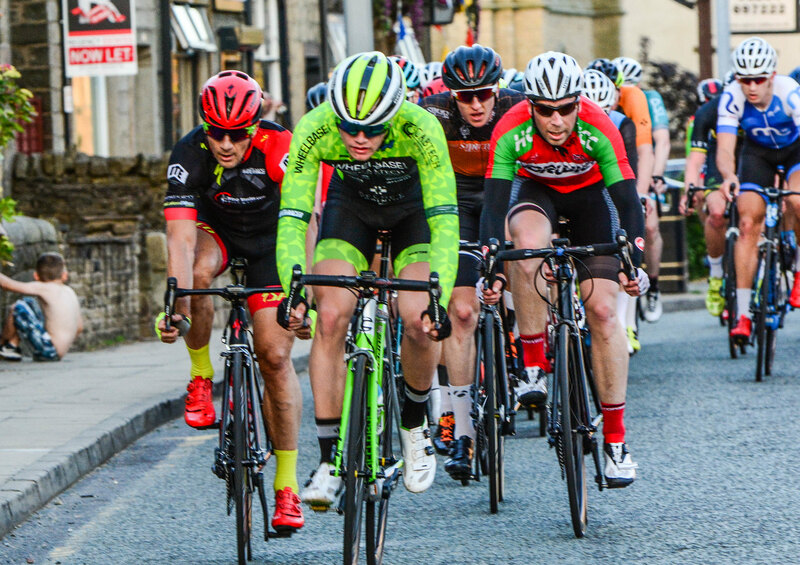 I spotted Andy and Tim sat at the front of the pack and, realising there was no way I’d have anything left for a decent sprint (not that I have one anyway), i dragged myself up to the head of the bunch and tried to save them having to take any more turns.